Wow, beautiful! They look delicious. 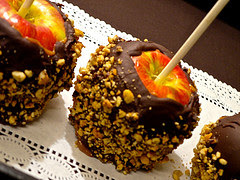 These apples look perfect..who can resist chocolate AND caramel..AND nuts? I know I can't! Wishing you and your loved ones an amazing and happy holiday!! I need to buy some caramel bits! I hate unwrapping caramels...and they leave something to be desired as far as taste is concerned. 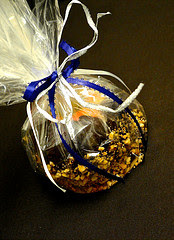 I love your caramel and chocolate apples, Bonnie! 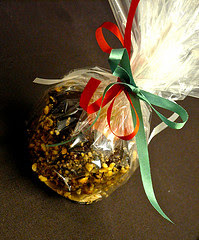 Oh, I say YES on the roll in the honey roasted peanuts...love that slightly salty addition. These look great! We have so many apples sitting around right now. This would be a fun way to use them! Thank you for sharing. I hope you are having a week full of good food and laughter. Happy to start my day here!